He left Exeter City as the longest serving manager in English football, but after just a day in his new job, there feels like a new buzz around MK Dons. As the media, we spent, conveniently, around 90 minutes at Stadium MK on Wednesday, through the press conference, photo-calls and interviews as Paul Tisdale was unveiled as the new Dons boss. Pete Winkelman is an excitable chap at the best of times, but there was an extra spring in his step as he chatted with me while his new manager posed for Citizen snapper Jane, who barked orders at 'Tis' like they'd known each other for years. The chairman has patted himself on the back for this one, and I'm inclined to think he's right. Tisdale has calibre at the level Dons find themselves. What he achieved at St James Park is a terrific story in itself. Even though they lost both playoff finals, which the man himself described as 'traumatic', the fact Exeter even got there shows Tisdale has something about him. Speaking to us in both the conference and aside in a more intimate setting - his new office - the new boss comes across thoughtful, eloquent and educated. He didn't spout cliches, he didn't give bold predictions or make promises. He asked for time and realistic expectations, and muted ones at that. He considered his answers, he didn't get carried away, and he spoke well - at least two big ticks there for journalists, though outlandish predictions make for better headlines. I think he's too long in the tooth, even at just 45, to feed us with those quite yet. For a long time, Dons wanted what they couldn't have. They wanted to be a Championship club without spending Championship money. While there's nothing wrong with shooting for the stars, they had a level of expectation which in reality they simply weren't ready for. 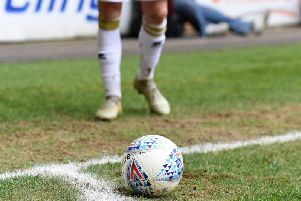 Their tumble to League 2 was a reality jolt - they're a long way from being a Championship club, and for the first time yesterday, I got the impression that everyone was finally on that page. And given that realisation, Tisdale is seen as the perfect choice to take over. Years of League 2 nous and know-how, with a bit more backing than he had in Devon, he might be the man to turn the ship away from the rocks. More importantly for MK Dons though, he might be the long term replacement they've been searching for since 2016.